I spent a couple hours, last night, going over listings with a great couple from out of state. We did this over the phone as we both looked through the listing reports and photos I had emailed them. About 1/3 of the way through I noticed something. 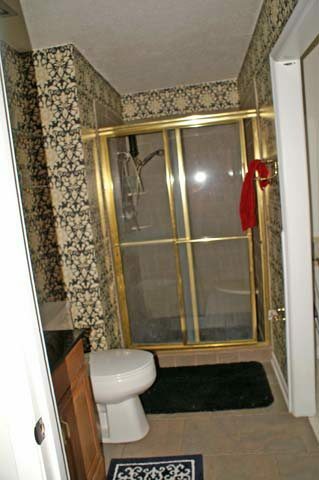 They skipped all the listings that only had a exterior photos or only one or two interior photos. To them, it didn’t make sense and wasn’t worth the time to drive out to a property in the hopes they would like it. Instead, they narrowed down the homes they did like and we added them to the showing list. Here are a few ways to make sure your agent can take good photos. Remove all toiletries from the bathroom and put them in cabinets or under the sink. Everyone knows you brush your teeth, comb your hair, and shave in the morning but buyers don’t want to be reminded of that when looking at your home online. Clean all mirrors and windows in the home. It’s impossible to photograph a home without hitting mirrors. Depending on how the light is, the camera will pick up all spots on your mirrors and dirty windows will cast a shadow. If you’re trying to sell quickly have a professional cleaning service take care of the property the day before pictures. Clean up your backyard. We know there are kids toys strewn everywhere and your lawn mower won’t fit in the shed but at least temporarily move them somewhere out of the camera’s sight. The garage is a good place for this. Have the carpets cleaned. Shampooed carpet on camera gives the look of newness. Don’t let those high traffic spots show up as browned areas in the pictures. Put all your toilet seats down. It’s just nasty. Remove all expensive or very personal items like guns, jewelry and jewelry boxes, family pictures, etc. The pictures are going to be available online to anyone so stay safe by not flaunting your goods. Also, some of these items may be offensive to potential buyers. Get your cars out of the driveway. Buyers want to see your house not the ‘Benz. Remove all those potted plants, flowers, or high rise items that are sitting on counters. Your bouquet on the kitchen counter looks beautiful and may look great for showings but it’s blocking the view of everything behind it. Save the flowers for the showings and let buyers see more of your home online. Most Important: Leave the house! The more your agent has to ask you to move out of a room or time the moment the dog isn’t running through will make picture taking longer and less productive. 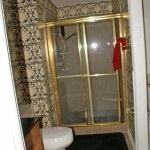 If you’re thinking of selling and wondering what your home is worth visit HomeValuesofReno.com. Posted in For Sellers and tagged get house ready to sell reno, preparing home for sale reno nv, reno listing agent, reno listing ideas, reno staging for listing.